There’s a new movement placing women at the forefront of the global tourism industry: Solo female travel. 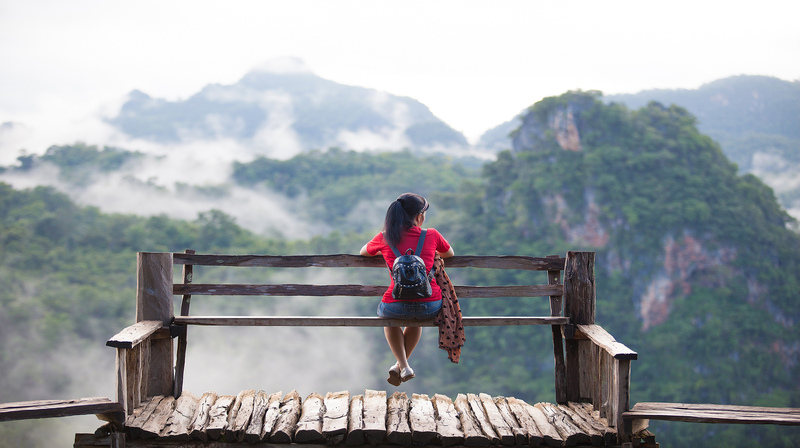 In the last six years alone, female-only travel providers have tripled, and according to TrekkSoft’s 2017 Travel Trend Report, solo female travel is one of the top trends influencing the industry. Now more than ever, women have the financial independence to pack their bags and explore the world around them. And thanks to apps like bSafe that regularly send safety alerts to family and friends, females are expanding their horizons well beyond wellness retreats and bleisure trips. In fact, increasing numbers of women are now swaying toward adventure travel, according to Conde Nast Traveler. So from safaris in South Africa to 14-mile hikes around the Mont Blanc Circuit, solo female wanderlusters are jet-setting the globe and inspiring others to do the same. Time to pack your bags and your selfie-stick, and take the plunge. These are some of our favorite destinations for every type of solo female traveler. The 2017 Global Peace Index declared Iceland the safest country in the world for the fifth year in a row. And with natural wonders like icebergs and active hot springs, this Nordic Island has plenty of natural beauty to explore. Iceland Luxury is the best resource to find safe accommodations, book flights, and discover the tastiest places to eat. Certain hotels on this Pacific Island cost thousands, but you don’t need to break the bank to enjoy its pristine beaches and delectable seafood. There are many less expensive guest houses, transportation options, and activities throughout the island. Smugglers Cove has affordable dorm rooms and a social, beachy vibe that’s perfect for meeting new people. For ladies trying to do it all in one trip, Lisbon’s scenic day hikes and bustling nightlife offer a little taste of everything. The country is known for some of the best hostels in the world, including Home Lisbon Hostel, which offers walking tours and pub crawls, along with female-only dorms. New Zealand is home to the world’s first commercial bungee jump, so it’s no surprise that there are adventures to be found around every lush corner. Try skydiving over Lake Taupo, or mountain biking around the Hastings — and be sure to check out Canyon Calling for women-only adventures. Whether you choose to ATV through the Salt Mines in Peru or sail through the Arctic Circle, it’s always a good time to feed your wanderlust. For more solo travel ideas, try out one of these 18 epic bucket list adventures.